Organize your recipes, foodie pages, games, and activities! 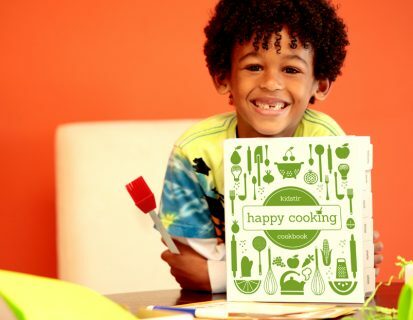 Our custom Happy Cooking Cookbook Binders are designed to store your recipes for years to come. This 3 ring binder is the perfect size to fit a year full of fun and educational materials. Plus, fifteen printed chapter dividers ensure your little chefs can easily find and cook up their favorite foods whenever they want! Binders are durable, wipe clean, and have easy open rings. They also lay flat for convenient use in the kitchen. 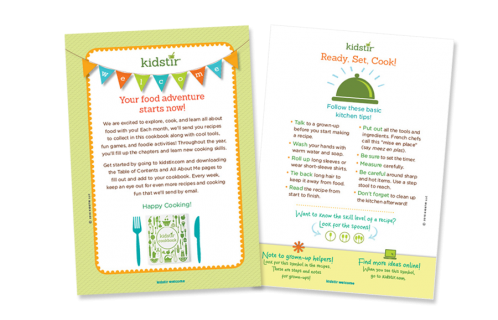 For easy reference, Kids Kitchen Rules are included inside and Handy Measurements are printed right on the back. 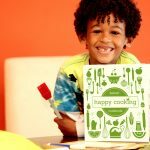 Your child can build his or her very own Happy Cooking Cookbook! Learn more about this binder! 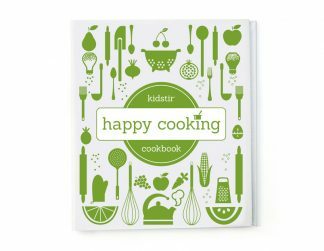 This Happy Cooking Cookbook Binder can be purchased without a subscription. 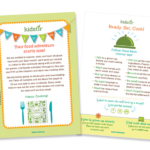 If you purchase a prepaid 12 month subscription, you’ll get a BONUS Happy Cooking Cookbook Binder along with your first kit. You do not need to make a separate purchase through this form. If you have Special Edition kits or a binder was not added to your subscription at the time of purchase, get your cookbook binder below. Ready, set, cook!